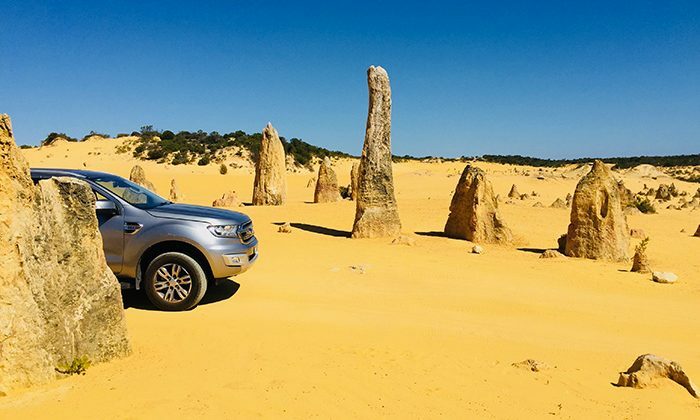 The geological wonder of the Pinnacles is a must-see for road trippers on the west coast of WA. You don’t need an all terrain vehicle to pop onto the four kilometre rock-lined unsealed loop around these otherworldly rock formations. With pullouts for photos and viewpoints, it’s an opportunity to drive around and in between the formations, and it’s a one-of-a-kind drive of a lifetime – especially since the track is publicly accessible. If you’d prefer to avoid the 200km drive from Perth and see other attractions in the area as well, definitely consider the Pinnacles-Taste of WA day trip with Swan River Sea Planes. Length of Trip : Budget a couple hours for a visit, or a full day trip with Swan River Seaplanes. 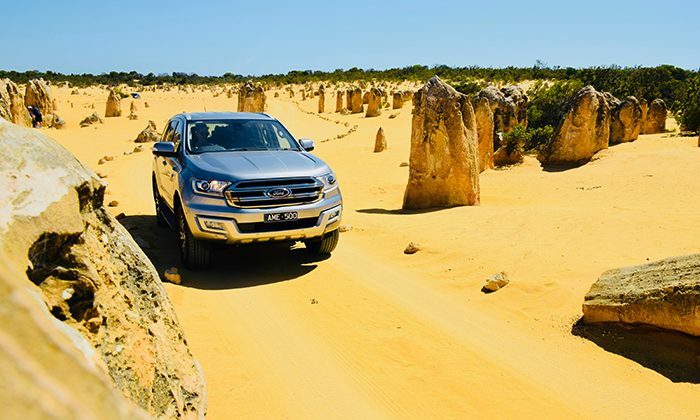 There is an entrance fee for vehicles driving into Nambung National Park. Click here for the latest Swan River Seaplanes Pinnacles-Taste of WA package prices. 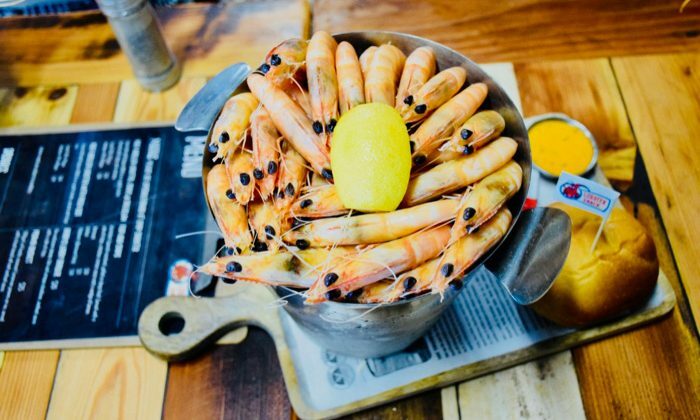 The Lobster Shack in Cervantes is a major food stop in the area, and offers behind the scenes tours of their facility. There are a few places to stay in Cervantes, like the Cervantes Pinnacles Motel. If you're making it a day trip from Perth with Swan River Sea Planes, we highly recommend staying at the the Attika Boutique Hotel. Cervantes is situated 250 kilometres by road from Perth. You can take a coach tour or self drive. 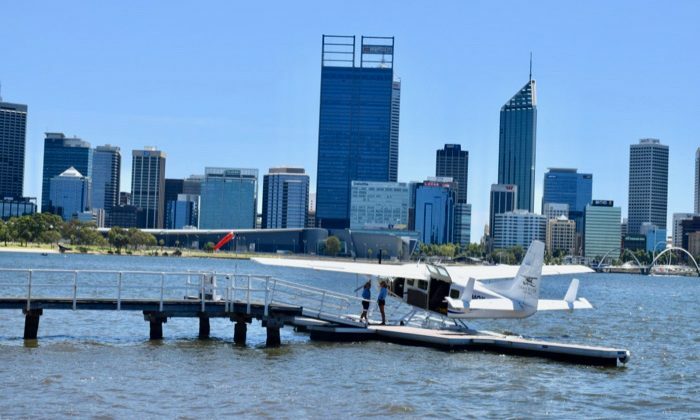 Swan River Seaplanes day tour includes one-way in a seaplane (which also has wheels to land on a dusty strip outside Cervantes) and the other in an air-conditioned coach. 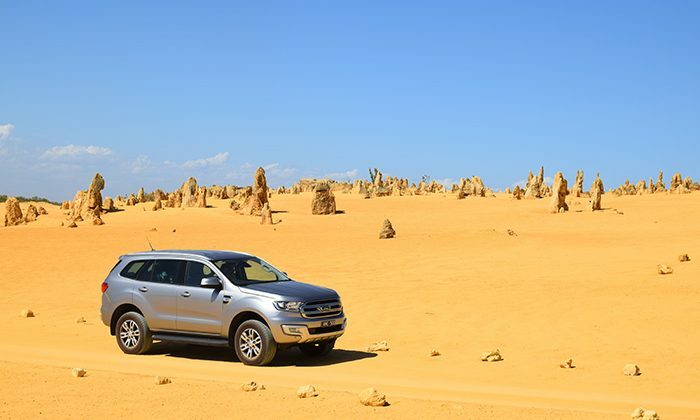 The track through the Pinnacles is fine for two-wheel drive cars. Take advantage of the pull-outs to get great photos, and let cars pass you if you're taking your time. You're no longer allowed to climb on the rocks themselves. The Swan Rivers Tour also visits Yanchep Wildlife Park which is well worth stopping for. 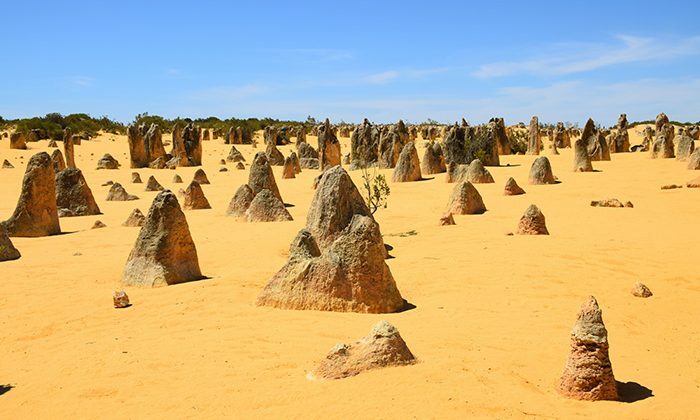 Do the Pinnacles belong on the Australian Bucket List?